Last time she was on the show, Ellen gave Kerry a special gift, and it went straight to her dog's head. #MashUpMonday - Kenny and Warren G "Regulate"
Craig Robinson Talks Tun Time Machine, Weed & Rap Battles Rosenberg! Powerful! Common & John Legend Oscar Acceptance Speech for "Glory"
On this episode of the Digital Life with Kevin Lockett, Kevin talks to legendary American Ballet Theater ballerina Misty Copeland on her life, being a judge on "So You Think You Can Dance", social media, seeing the impact of her autobiography ("Life in Motion"), dancing with Prince and what she does do in her spare time, when she is not dancing around around the world. Misty and her brother Cameron Koa will be performing at the Cleveland in Ballet Gala on March 13th (www.balletincleveland.org). You can follow Misty at @MistyonPointe on Twitter and Instagram & MistyCopeland.com. 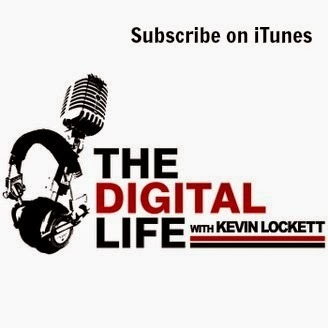 You can follow Kevin at @KevinLockett on Twitter; Instagram and contact him at Lockettmedia (at) gmail (dot) com. So there I was about enjoy a turkey sub for lunch, when I saw this headline from Variety on my Facebook page: "Kanye West, Not Beyonce, Was the Biggest Loser at the Grammys"
The biggest losers of the Grammys was not Kanye, it was the Grammys itself for not airing enough awards on TV!!! Grammys is now just a big concert, which is fine, but what about the people who actually the won awards? If I am a nominee, why even get dressed up to attend an awards show, when most people would never my acceptance speech? Is there reason why I couldn't see a "Hip-Hop-Rap" category or a "Latin" category or "Producer of the Year "during a three and half hour broadcast? The music industry is always crying about music sales being down, maybe if more people knew that St. Vincent won "Best Alternative Album" or Clean Bandit winning "Best Dance Recording" that they might be more inclined to check out their work. At least back in the day, the Grammys used to list the winners on the side during the show. Now I am forced look scroll through Twitter to see who actually won or try find the full winners list online or in the newspaper the next day. As talented as Kanye West is, his biggest problem is that he acts on impulse and he doesn't have a filter. Although he should rein in his impulsive tendencies at times, his brashness is what made him successful and there there's always a bit of truth in his long winded rants. The interesting thing is when Kanye went on stage after Beck won and quickly walked off, it was actually a funny moment. For an instant, it seemed like he was mocking his himself, but once he ranted after the Grammys that killed any goodwill he might have cultivated that evening. 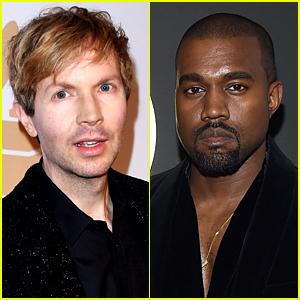 But let's be honest, However putting Kanye aside, did anybody really think that Beck was going to win "Best Album"? While its nice to see the talented Beck get career a boost again, even he had to be shocked that he won "Best Album", (most music fans rallying around Beck today, probably still can't name a song from his "Morning Phase album). Was Beck's win a Grammy payback not giving him 'Best Album" when his magnificent "Odelay" was bested by Celine Dion for the award back in the 90s? Maybe, but this year's "Best Album" nominee list was too loaded to give Beck a career achievement award. Even as we speak, Ed Sheeran's "X" and Sam Smith's "In The Lonely Hour" are still pumping out hits from their nominated albums, which are arguably two of the best well written, personal pop albums in recent years. In Beyonce's case, Kanye West was not the only one who thought Beyonce should have won "Best Album". Before the Grammys, most publications including Billboard Vulture, Huffpost, Complex and even bookmakers thought Beyonce was going to win "Best Album" (to be fair the Hollywood Reporter and Spotify said that Beck,Beyonce and Ed Sheeran were the most streamed of the Album of the Year nominees). Beyonce loss could be part of the long tradition of iconic female pop stars like Janet Jackson, Mariah Carey and Madonna whom have never won "Best Album" at the Grammys or it could stem from the fact that Beyonce released her album digitally without using major retailers, which upset the corporate paradigm of the music industry. If that's the case, shame on the music industry for valuing business partners over embracing new digital paradigms. Now I like Beyonce, but I am not part of her vaunted Beyhive. As talented as she is, the worship of Beyonce has been quite overblown at times. The fact that Grammy's had Beyonce sing "Precious Lord, Take My Hand" from the film "Selma" instead of Ledisi (who actually sings it with more power and range) was more outrageous to me than anything Kanye West said or did at the Grammys. Did Beyonce "deserve" "Best Album"? Maybe, but Beyonce's self-titled album might be best effort since "Dangerously in Love"and her move to release "Beyonce" directly to her fans digitallyis a ground breaking, strategic blueprint that many artists will follow for years to come. However, the biggest loser at the Grammys was not Beyonce losing to Beck and no Variety Magazine, it was not Kanye losing it by sticking up for his friend once again...and in retrospect, it was not even the Grammys. No, the biggest losers of the night were millions of Grammys viewers like me who actually tuned in to see who would win a Grammy, when in fact, we spent over three hours barely seeing an awards at all.
" Legendary filmmaker Sam Raimi (“Spiderman,” “Evil Dead”, “The Grudge”) and director Gil Kenan (“Monster House”) contemporize the classic tale about a family whose suburban home is haunted by evil forces. When the terrifying apparitions escalate their attacks and hold the youngest daughter captive, the family must come together to rescue her before she disappears forever. Cast: Sam Rockwell, Rosemarie DeWitt, Jared Harris, Jane Adams"
In honor of the Tonight Show's week in Los Angeles, Jimmy and the Roots parody "The Fresh Prince of Bel-Air" opening title sequence. In honor of the Super Bowl, Jimmy and the Roots join Carrie Underwood, Sam Smith, Ariana Grande, Blake Shelton, Usher, Meghan Trainor, One Direction and Christina Aguilera for an a cappella version of "We Are The Champions."